The room. WAS PERFECT. We had our 2 month old and brought our own baby bed and so the large spacious room was great! Having the little kitchen also came in handy! This hotel was perfect for our stay in Berlin. It was in a great location and easy to get around to different places, with lots of shops, restaurants and bars nearby and tourist sites within walking distance. Very helpful staff. I felt clients are at the center. Good location with bakeries and restaurants all around. The room was very stylish with a view of the Berliner Fernsehturm. I would definitely come back. Beautiful room, excellent location. Adjacent to coffee shop and restaurant. Great location. Room was decorated very nicely for the most part. Plenty of space and lots of amenities available in the room like a microwave, stove, fridge + freezer. Shower was visually stunning. Everything was great. I stayed her for two nights. It was within walking distance to most of the tourist sites and very close to public transportation. Tremendous location, within walking distance of Alexanderplatz station. The coffee bar downstairs was delicious, and the rooms were very spacious and comfortable. 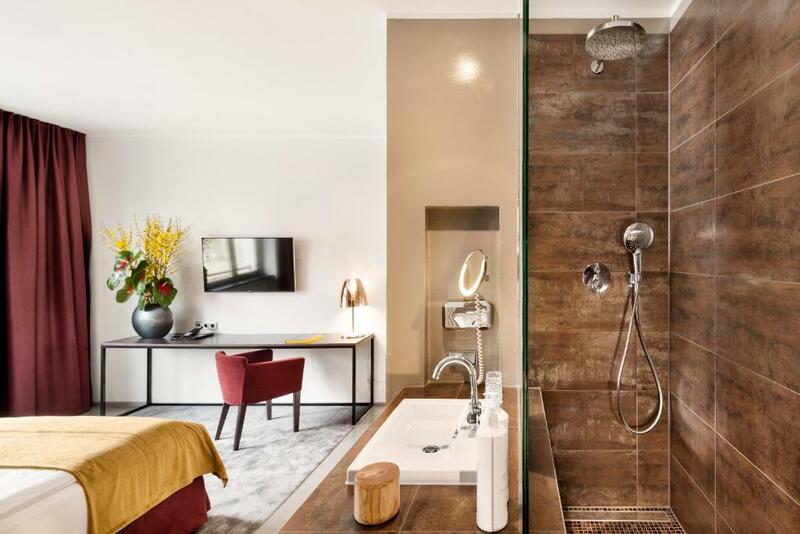 Showers are great especially in the bigger rooms. Location is uber convenient. Cafe and restaurant downtown are pretty good if you're looking for a quick bite otherwise plenty of options nearby. 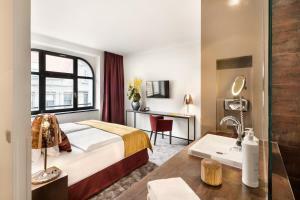 Lock in a great price for Lux 11 Berlin-Mitte – rated 9 by recent guests! Lux 11 Berlin-Mitte This rating is a reflection of how the property compares to the industry standard when it comes to price, facilities and services available. It's based on a self-evaluation by the property. Use this rating to help choose your stay! 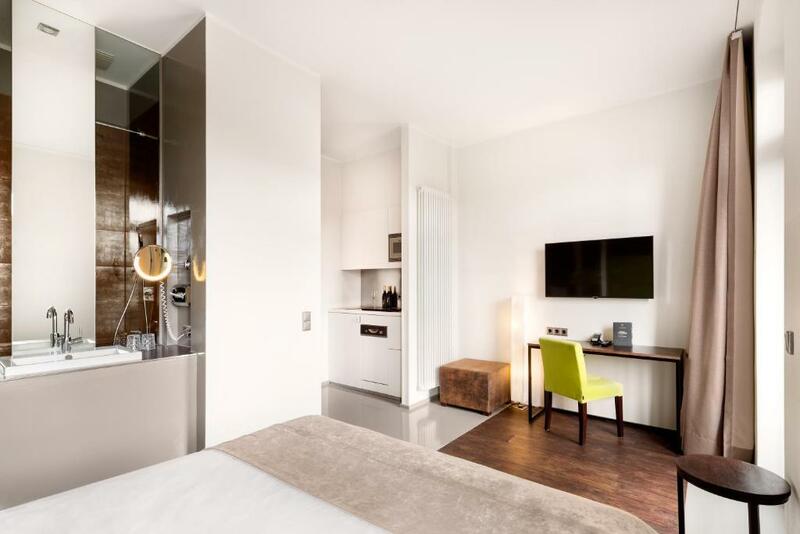 Stylish rooms and apartments with kitchenettes are offered at Lux 11 as well as a designer boutique, a milk bar and a restaurant It is 650 feet from Alexanderplatz Square in Berlin’s Mitte district. 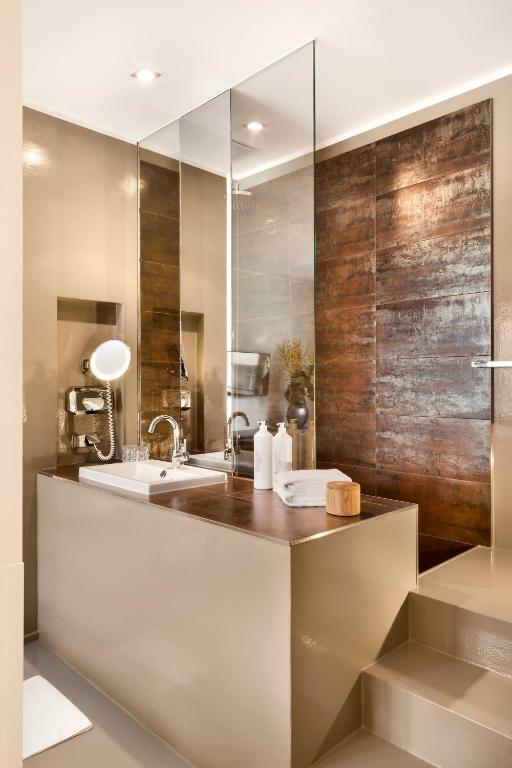 뀐 Located in the real heart of Berlin, this property has an excellent location score of 9.5! 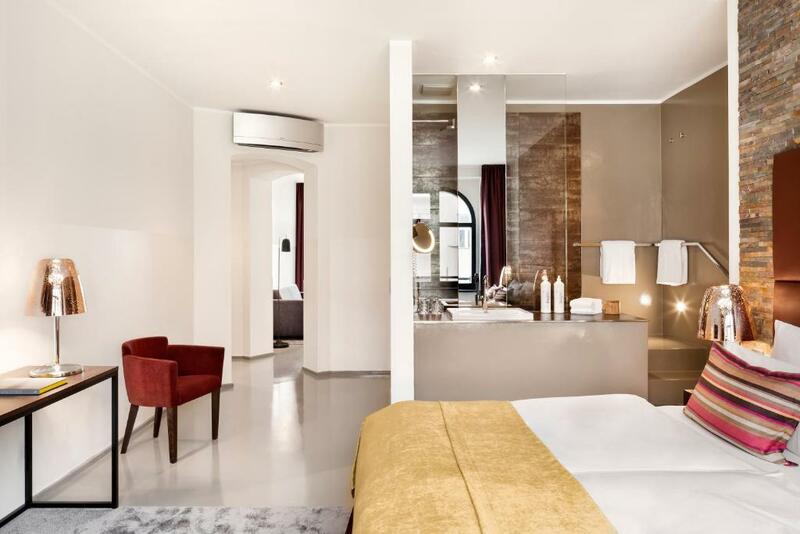 When would you like to stay at Lux 11 Berlin-Mitte? Large, elegant suite with kitchenette and rain shower. Features a separate living area, 2 flat-screen TVs and an answering machine. Please note that the price is based on 2 guests. Maximum occupancy is 3 (see property Policies). 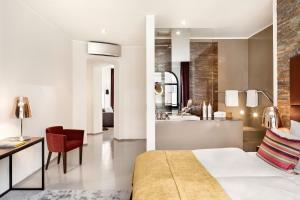 Elegant, spacious suite with kitchenette and rain shower. Features a separate living room and 2 flat-screen TVs. 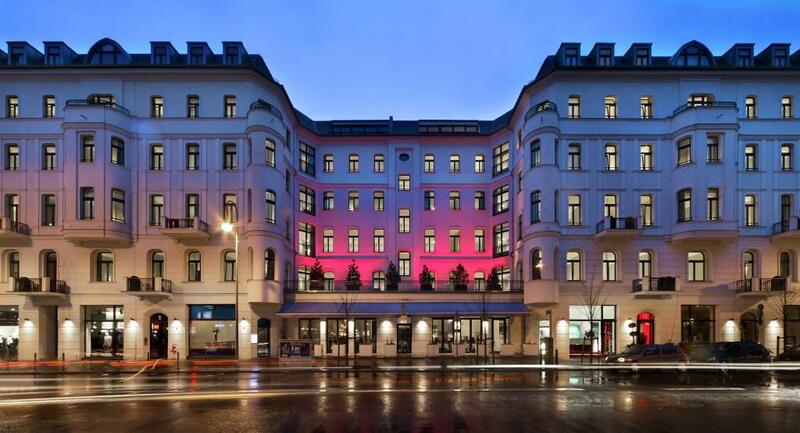 Lux 11 is located in the pulsating heart of Berlin-Mitte. Surrounded by the shops of Berlin’s fashion scene, art galleries, media agencies and countless cafes, bars and restaurants, the essential Berlin is just around the corner. Our staff all have outstanding personalities with travel addicted experience and urban sophisticated lifestyle. 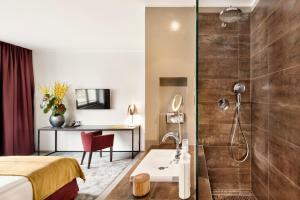 House Rules Lux 11 Berlin-Mitte takes special requests – add in the next step! Lux 11 Berlin-Mitte accepts these cards and reserves the right to temporarily hold an amount prior to arrival. Please inform Lux 11 Berlin-Mitte of your expected arrival time in advance. You can use the Special Requests box when booking, or contact the property directly using the contact details in your confirmation. Great room, quiet, clean, nice location. We had a great time. Thanks ! I know it's silly but I wished for another trash can. The way the room was set up there was only two, one tiny one next to the toilet, and one office size by the desk. But nothing near the kitchen or the area where you wash your face and brush your teeth. The room was beautiful and extremely comfortable. The staff were friendly and the location was great. 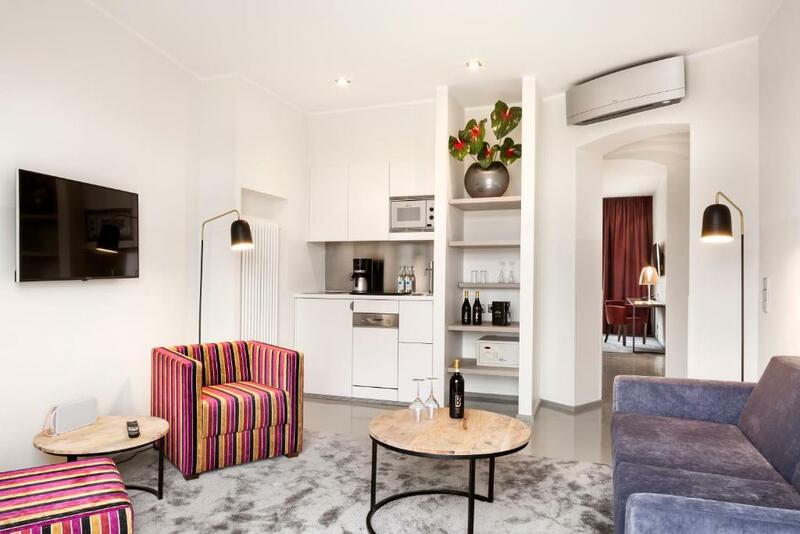 Great location right in the centre, close to bars, restaurants and the train and subway station. A restaurant adjoins the hotel which is fantastic! It was so generous of them to upgrade us to the executive suite, despite us booking the deluxe. The service was brilliant, at the desk, the café and the restaurant - where the food and vibe is great by the way! It didn’t feel like a hotel restaurant at all. The location is in such an idea location, I can’t fault my stay in any way. They even helped return my camera that I left in the hotel room which I am incredibly grateful for. Thanks Lux-11! Everything was perfect! 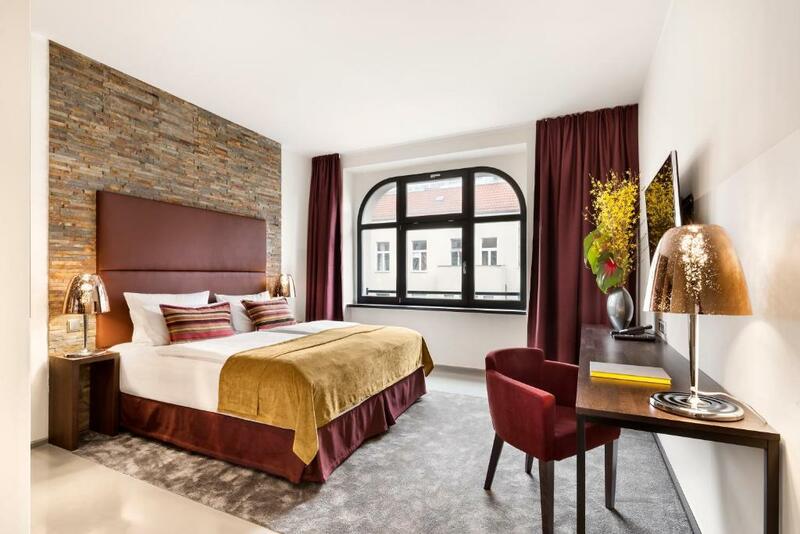 The apartments are close to the Alexanderplatz and several metro stations! Service was poor. Some staff weren’t friendly and the cleanness was not that good.